This volume focuses on the making, nature, and role of the first modern constitutions at the founding of the modern nation-states in Southeast Asia. These historical essays add richly to our understanding and appreciation of the founding moments and to the theory and practice of constitutionalism in these states. This volume makes three significant contributions. 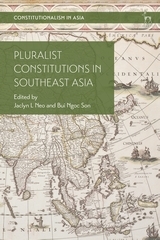 First, it helps plug the wide knowledge gap in comparative constitutional history in Southeast Asia. 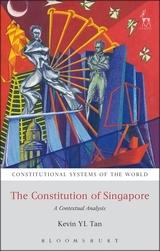 Second, it furthers our understanding of contemporary constitutional practice and also anticipates possible developmental trajectories in light of the foundational values embedded in and manifested through these constitutions. Third, through the comparative historical study of these early constitutions, plausible theoretical insights may be gained to further our understanding of Southeast Asia's constitutional history. 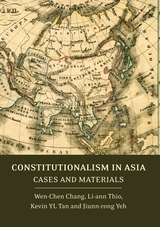 The book is essential reading for those wishing to obtain a deeper understanding of the constitutional foundings of Southeast Asia.